Landclub Ruinen in Ruinen - the best offers! Enjoy a wonderful stay at Landclub Ruinen in Ruinen (Netherlands). You can take advantage of the various possibilities provided by the park and its surroundings. This price applies to Pet Special, with the arrival as 13 May 2019, 4 Nights. This price applies to Baby Special, with the arrival as 13 May 2019, 4 Nights. 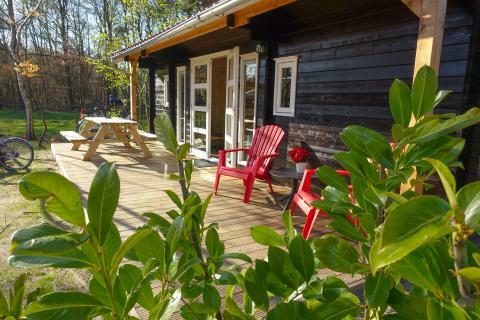 This price applies to 6-person mobile home/caravan Cottage de Luxe, with the arrival as 13 May 2019, 4 Nights. This price applies to 6-person mobile home/caravan 4 Season Safarilodge, with the arrival as 13 May 2019, 4 Nights. 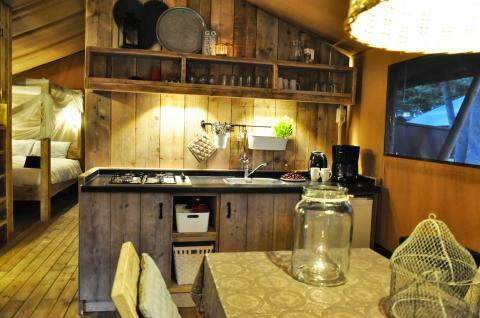 This price applies to 6-person mobile home/caravan Drentse Kap, with the arrival as 13 May 2019, 4 Nights. The tourist tax is calculated for persons above 12 years old. The correct costs will be shown on the invoice of the park. The park will send an information package two weeks before arrival, in this information package is an autorization form for the deposit.